You Are Here: Home » Parenting Tips » How Often Should A Newborn Poop? Posted by :Dawne Dale Posted date : May 7, 2015 In Parenting Tips Comments Off on How Often Should A Newborn Poop? Sometimes a happy and healthy baby does not mean that everything is fine; parents need to be extra careful with the baby. Poop is not a pleasant thing to talk about, but it is a vital thing that parents should monitor for their babies. If the baby is frequently pooping and regularly, it is a good symptom that he/she is getting enough amount of food, and he/she is disposing of the remaining. If there is the absence of poop, it is pretty sure that there is some problem. Now the question arises how often should a newborn poop? If you are feeding your baby well, he/she will be wetting his/her diaper for six to seven times in a day. You should speak with your pediatrician if the stomach of your baby is swollen as he/she is getting uncomfortable to poop. Also Read: How much to feed a newborn? How Often Should Newborns Poop? Earlier the bowel movements of the babies are quite thick and dark green in color due to the substance meconium. Once the baby starts feeding and get bowel movements, he/she finishes ejecting meconium, and his/her stools start turning yellowish. The color may vary day to day depending on the bowel movement of the baby. The color of the stool also depends on the frequency and the formula of the infant food you are feeding your baby. It also depends on how hydrated your little one is. Formula fed little ones are more likely to have the trouble of constipation. It has been proved that a formula food can stable the poop more than the breast milk. If a baby has an allergy to milk protein, he/she can have constipation. A milk-based formula or dairy in mom’s diet that has passed through the breast milk. Doctors permit parents to give the child a selected baby food when he/she becomes six months old. For the beginning, you can consider ABCs that is applesauce, bananas, and cereal. Do not give too much of all these to your child especially rice cereal. It becomes harder to pinpoint the culprit of constipation when you increase the table food in your baby’s diet. Many parents try some home remedies for baby constipation as it is one of the safest way. Before discussing the methods to deal with the problem of constipation, let’s talk about some of the causes of the same. It will help you to avoid those things that cause constipation so that you can protect your little one well in advance from this problem. Apple, Prune or pear juices all contains sugar that are poor in absorption and passes through the intestine unabsorbed, also holds the water in the poop. Except these the other juices are helpful as they absorb the sugar properly. If your baby is constipated, it is advised to give him/her two to four ounces of juices from one of these every day. For older infants, the amount will be four to six ounces in a day. For apple or pear juice, you need to take care that they are 100 percent pure and does not contain any sugars otherwise it will not affect your infant’s body in a positive way. Prune juice contains a high amount of sugar, so it is recommended to use it less or dilute it with water before giving it to your baby. Due to this treatment many children develop the problem of gas and bloating. They also become fussy. Make sure you visit a doctor soon if it is becoming a serious issue and your child is not able to deal with it. As I have discussed earlier that prune is an exceptional juice and with that it is not useful for older children. In case your little one has started taking solid foods, you can replace the whole grain cereals with refined or white cereals. It is advised to give high fiber vegetables and fruit to the baby. Some of the foods like sweet potatoes, apricots, prunes, pears, beans, plums, spinach or broccoli. If you are giving your baby those baby foods that contains applesauce, banana, and carrot or those which are thickened with tapioca it is not good for the health. Make sure you avoid giving these foods as it increases constipation. On the other hand, dairy products can be very harmful to the older children if they have a problem of constipation. Try to reduce the amount of milk, cheese and some other refined carbohydrate in your child’s diet. Substitute all these foods with cereals, whole grain bread, and vegetables. There are many formulas that are constipating for the infants. Those formulas that are thickened with rice cereal and contains a high amount of casein are more problematic. Make sure you change your formula if your baby is having some problem of constipation with the formula you are giving. Infant formulas that contain iron in it are helpful in constipation. If there will be no effect due to these interferences, then your clinician will recommend you with this step. Dark Corn Syrup: This syrup was has been used in the past, but it is not that effective. It does not contain osmotically active substances that are not useful in case of constipation. It also carries botulinum spores that are very much similar to honey. Rectal stimulation and glycerin suppository give very much relief to your baby, but it should not be used frequently. If you want to use it regularly, do consult your doctor. Avoid using stimulation laxatives and mineral oil for young babies. Many people think that disposable diapers very useful for the parents as it does not require much effort. While they seem simple, it contain more materials and also parts that you might not even think of. It is not necessary for the diaper companies to put the ingredients in the products list. The lining of the diaper is made of polyethylene film that is stuffed in a plastic wrap. The lining that touches your baby’s skin is made of polypropylene. It is a common material that you will also found in the thermal underwear and also some other things. 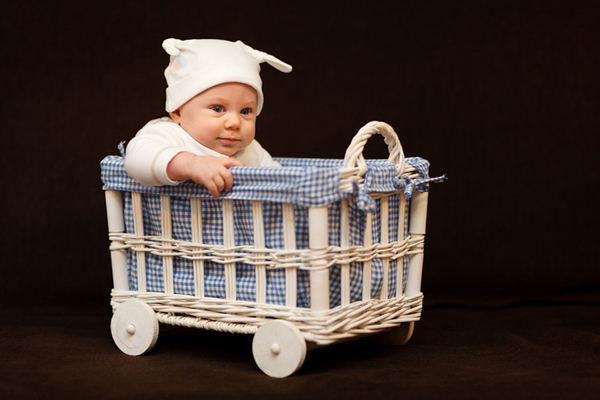 Both polyethylene and polypropylene are considered safest for the soft skin of the babies. To enhance the inner lining, some brands use vitamin E and aloe vera. These substances are also used in the diaper rash creams. Super absorbent polymers and wood pulp are present in the absorbent center. Mostly sodium polyacrylate. Sodium polyacrylate introduced in the early 80’s that allows diapers to become more active and thinner. This compound is designed in such a way that it can soak up to thirty times the weight of the urine. Though this compound is designed in the core of the diaper but sometimes it leaks through the lining that leaves small transparent crystals on the skin of the baby. Dyes are used for drawing the cartoon characters outside the diapers. Some of the dyes are dispersed blue 124, disperse blue 106, disperse orange 3 and disperse yellow 3. Some of the scented diapers are consist of small amount of perfume. This fragrance is present between the outer layers and the absorbent core. Perfume contains citral; it is a citrusy smelling compound that is often found in orange and lemon oils. Is It Normal For Babies To Poop After Every Feeding? According to pediatricians, there are some babies that poop after every feeding and rest every three days. It is all normal. If your baby is a newborn and you are breastfeeding him/her, then he/she will poop after every feeding. When you start the bowel movements of a breastfeeding baby, he/she will poop after every feeding for first few weeks. Do not panic because it is a good sign. It means that your baby is getting enough amount of milk. Bowel movements in formula-fed babies are less than the breastfeeding babies. So, it is quite reasonable for them to poop after every feeding. Between three to six weeks, the bowel movements slow down but the pattern of the pooping does not change. After around one year, the baby starts pooping five times in a day. It is not a problem if your baby is having his/her bowel movements perfectly and getting frequent poops. If there is a sudden change in the pooping pattern of your baby like the stool starts becoming watery then it is very vital to visit your doctor soon. It can be due to infection, and if ignored it can turn into a severe issue. Diaper rashes come to those babies who have frequent bowel movements. As a precaution, you are advised to coat his/her bottom with a barrier cream. It is fine to use a petroleum jelly if your baby’s bottom is not red. Make sure you use that diaper cream that contain zinc oxide if there is any redness. It is very necessary to keep your little one without a diaper for some time so that his/her bottom dries fully. After doing all this, if the rashes are not going, do visit a doctor. Can You Use Soapy Water To clean The Child During A Diaper Change? According to David Geller, a pediatrician, changing the diaper depends on how messy the diaper is. If the diaper is clean and there is no stool, then you do not have to wipe the bottom of the baby. In this situation, you can just put a new diaper without using the diaper cream. If there is a need for cleaning the bottom, simply use a moist, soft towel or washcloth on it. If you comfortable with the wet wipes, you can make use of it. Do not make use of soap while cleaning the bottom of your baby. Choose those wipes that are alcohol-free and unscented wipes. Too much wiping can cause irritation, so be gentle while wiping. Stop using those wipes that are irritating the skin of your baby and wait for the skin to heal. Use another one and avoid using it if your baby is having a problem with every wet wipe. Is Watery Poop Is Normal? According to pediatricians, it is normal for babies to pass recurrent watery stools. The intestines of the newborns just do not absorb the food well that results into the watery stool. Do not panic as this problem is not permanent and after few months as the absorption improves it will lead to thicker and less frequent stools. If the watery stools are increasing day by day, then it is a matter of concern. It is advised to visit a doctor soon. There is one thing about diarrhea that you will not be able to notice it soon. If your baby is getting loose stools and that too very frequently, it means that he/she is suffering from diarrhea. The smell of the poop will be very foul. It last for several days and sometimes accompanied with crampy pains. Up to one in six children visit doctors every year, it means that acute diarrhea is very common among children. It is advised to consult your doctor as soon as possible if your baby is dealing with the problem of diarrhea because it can be the result of viral or bacterial infection. Viral infection diarrhea is accompanied by abdominal pain, vomiting, chills, fever, and achiness. Whereas a bacterial infection diarrhea is accompanied by the blood in the stool, cramps, sometimes vomiting and fever. Diarrhea can also be caused due to some food allergies. The common problem is excessive intake of juice. Do not give too much of fluid to your baby otherwise it may lead to some severe problems. Now you know how often should a newborn poop? And also some of the pros and cons of the same. Make sure you visit your doctor for routine checkup of your baby, it will help him/her to stay healthy and happy.